If you find a wild baby raccoon exhibiting any of the following signs listed below, call Willowbrook Wildlife Center at 630-942-6200. Willowbrook does not accept out-of-county raccoons for treatment. I Found a Baby Raccoon. What Should I Do? Raccoons can have spring and/or fall litters. A mother raccoon often leaves her young for extended periods at a time. 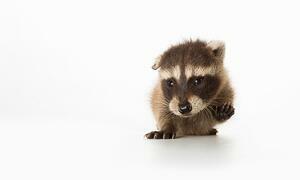 Unless a baby raccoon is exhibiting a sign that it needs help, please try to leave it alone. If the mother raccoon does not return to her baby or it is in an unsafe location and you can get to it, then take a few simple measures to help it. 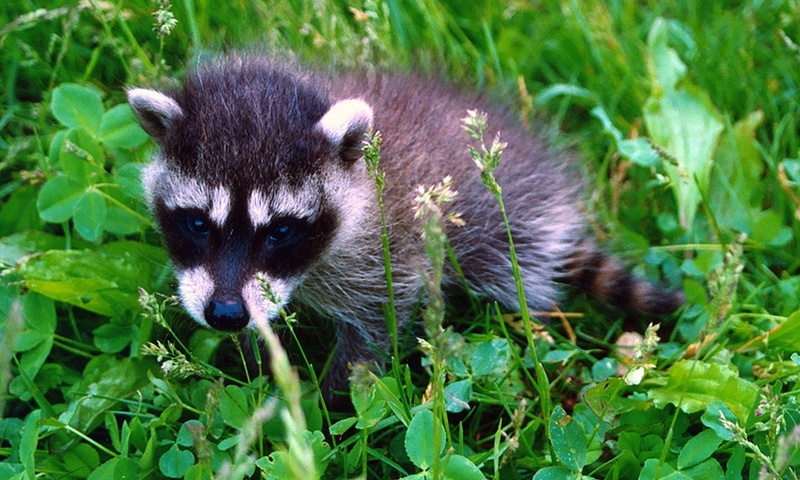 A baby raccoon found unattended should always be given a chance to reunite with its mother. Locate the original den site and determine the path the mother would most likely travel to and from the den. If that den site was in a home or other structure and the baby has been removed from its original location, leave it in a nest box as near as possible to the point of original access. Leave the area and the baby raccoon in the nest box overnight. 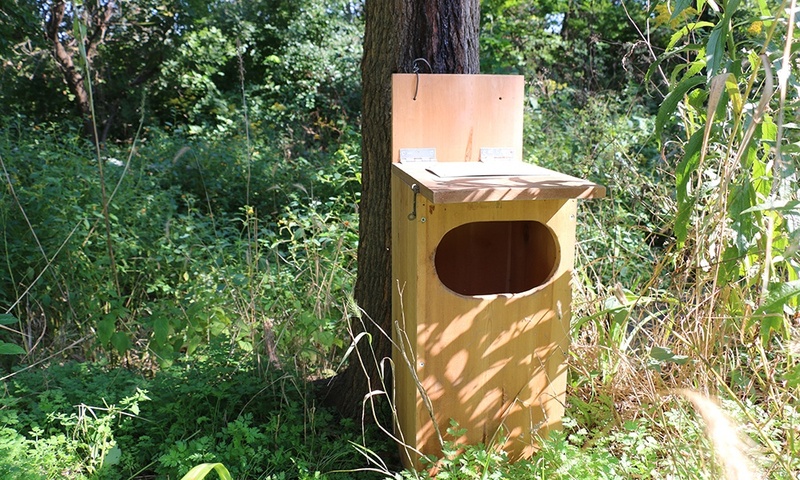 Do not disturb the nest box in any way for the amount of time designated by Willowbrook staff. Do not feed the baby; it needs to cry so mom can better locate it. Do not remove the baby from the nest box. Do not put food out for the mother, as this may attract predators. If you are unsure about how to check the baby raccoon's condition, please do not hesitate to call Willowbrook at 630-942-6200 for advice about how to proceed. If the nest was removed from an attic or chimney, place the nest box at the base of the building. If the path to the original nest site is known, the nest box should be placed along that path. If the mother uses a nearby tree to gain access to the roof for example, the nest box should be placed at the base of that tree. If a raccoon has already established a den in or around the home, try the following deterrents — preferably two or three at the same time. If the den is in a chimney — usually on the smoke shelf in the flue — lower a light into the chimney, and place a bowl of ammonia and a radio on the fireplace grate. Do not “smoke out” the animals. They can pass out, and you’ll have to physically remove them yourself. After a few days, pack crumpled newspaper into the entrance. If the raccoon is still there, it will pull the paper out. If the paper stays in place for a few days, repair any openings.